The JS Industries Nitro Model is a high performance small wave weapons – purpose built to generate speed with ease, even the weakest, mushiest conditions and hold speed through flat spots, with a sensitive enough tail to facilitate tight direction changes and rapid acceleration. The Nitro combines a full nose and a flatter nose rocker for paddling speed, early wave entry and heaps of speed of the mark. This design utilizes quite deep concaves for heaps of lift and liveliness. The Nitro has a fairly pulled-in tail outline for sensitivity, quick direction changes, extra drive and comfort in the pocket. 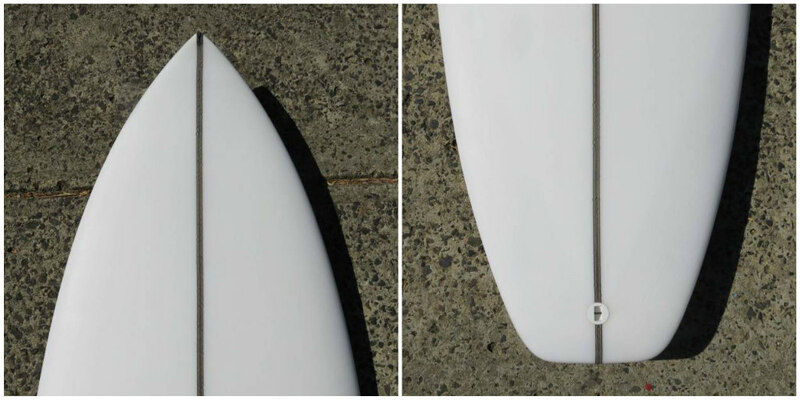 This shape has really been geared towards a fast, flowing, attacking approach to small to medium waves. The rails in the Nitro have been kept medium to full to assist flow and to help overcome any rail catches in choppy conditions. 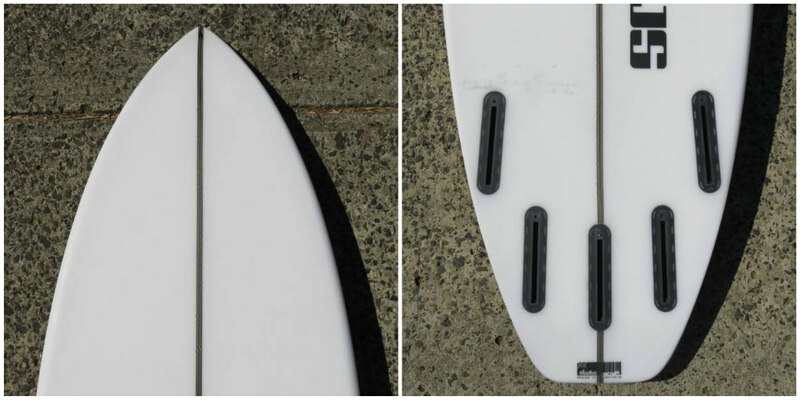 JS has expertly distributed foam though-out this design with extra foam subtly added to ensure this board will glide where others struggle, while foiling it out of unnecessary areas to retain overall performance and sensitivity in the tail. An overall flat rocker, both in the entry and exit, creates instant acceleration to both generate and hold speed in small to average or fun conditions, helping you link together sections and flow from one maneuver into the next. 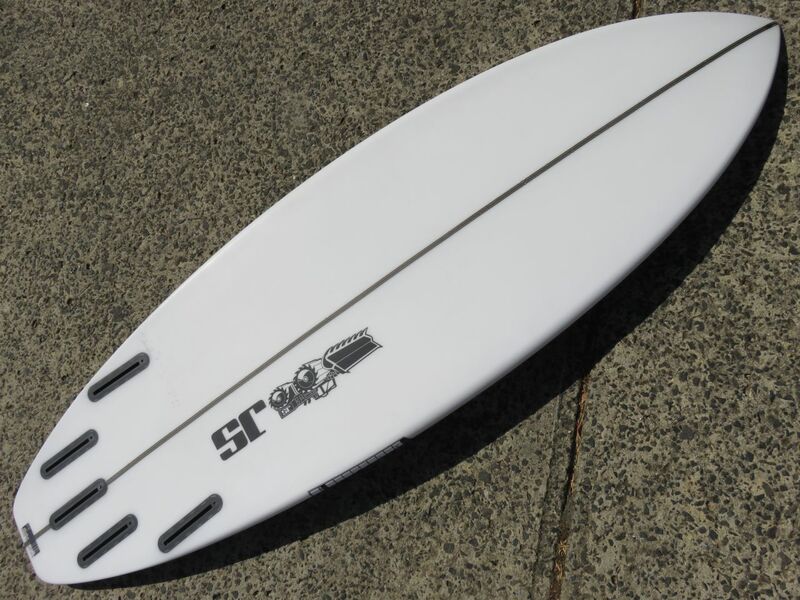 If you ordinarily ride a performance shortboard, then this model should be a fairly easy board to transition onto when the waves are small. Not having so much tail area should make this feel relatively familiar & not too skatey underfoot compared to a lot of other small wave craft – with paddle and glide to spare. This model is also worth considering for those of you that are after a more hybrid shaped all-rounder. The forgiving amount of surface area, reasonably flat rocker and full nose should make this a fairly easy board to ride in the right dimensions. It’s also a shape that should cover you for a pretty broad range of conditions without having to sacrifice user-friendly width, thickness & volume.